Protein concentration measurement is usually the first step in most protein analysis work-flow processes. The criteria for choice of a protein assay method are usually based on convenience, availability of adequate amount of protein for assay, presence or absence of interfering agents in the mixture, and need for accuracy. For example, the Lowry protein assay method is very sensitive but is a two-step procedure that requires a minimum of up to 40 minutes’ incubation time. The Bradford assay is more sensitive and can be read within 5 minutes. The ToPA Kit and protocol is based on the Bradford assay, but it has been optimized to become more sensitive and tolerant to most buffer systems. – Only 2ul per sample required. 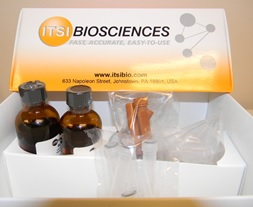 We have two kits for total protein assay. 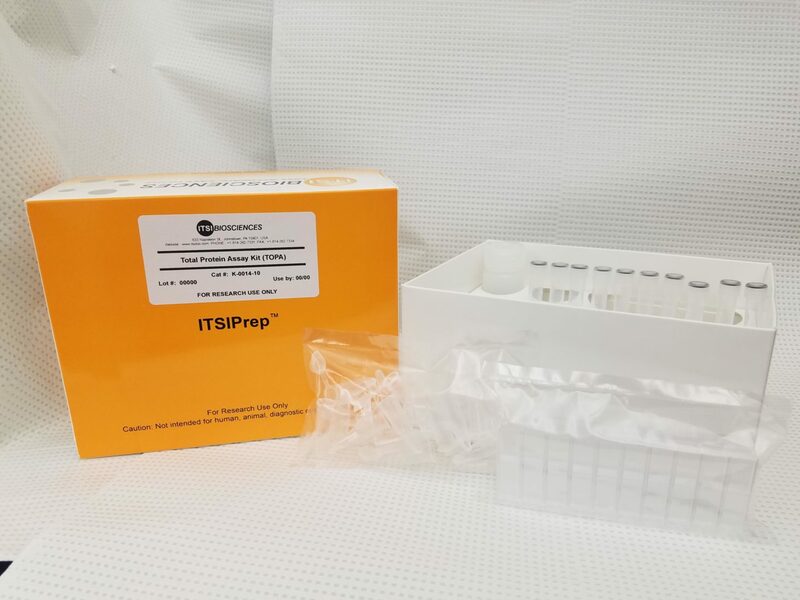 The ITSIPrep Bradford ToPA kit contains all the reagents, protein standards in a ready-to-use format, cuvettes (K-0014-20) and microtiter plate (K-0014-96) for easy and accurate measurement of total protein concentration. ToPA is based on the Bradford assay and specifically developed to eliminate the common errors associated with total protein quantitation.